Using state-of-the-art dental technology, Laser Smile Studio is able to provide homoepathic, sedation, and laser dentistry services to our patients. To help keep our patient’s smiles healthy and bright, Laser Smile Studio provides regular dental cleanings, dental exams, and oral cancer detection. Laser Smile Studio provides a variety of high-quality cosmetic dentistry procedures to help our patients to achieve a smile they can be proud of. From full mouth restoration to crowns and bridges, Laser Smile Studio offers a number of restorative procedures to help improve our patient’s smiles. Our Laser Smile Studio professionals are skilled in preventing, diagnosing, treating, and restoring the damage caused by periodontal disease. Our board-certified dentist is proud to offer surgical dentistry, including but not limited to the removal of wisdom teeth, and bone and gum grafting. Board-certified Dentist, Dr. Todd McCracken, believes that dentistry in any form, should not be a painful, or anxiety causing experience for patients. 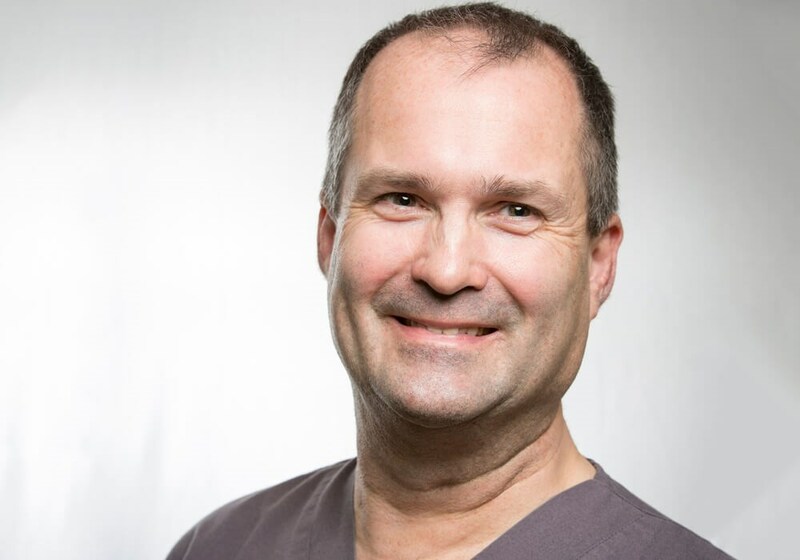 Early in his career, Dr. McCracken discovered laser dentistry and was intrigued by the opportunity it provided him to offer comprehensive dental care to patients in a minimally-invasive manner. After 25 plus years in the field, Dr. McCracken has found that laser dentistry is life changing in its ability to prevent the painful experiences which once kept patients from returning to the dentist. Dr. McCracken and Laser Smile Studio, in Denton, TX, are dedicated to providing the empathetic and personalized dental care that all patients deserve. Laser Smile Studio is proud to be serving Denton, TX and the surrounding communities with outstanding dental care. Patients visit our practice every year with one common goal in mind: to achieve the greatest smile possible. Therefore, our team utilizes the best techniques, the highest quality equipment, and the most state-of-the-art technology available in the dental industry to help our patients achieve their desired outcome. Although Dr. McCracken and our staff are highly-trained, they are constantly enhancing their skill-set and knowledge through further education. Our patients can rest assured that they are in good hands when visiting our dental practice! They are just simply amazing the Doctor is very knowledgeable fulfilling your specific dental needs. He is very dedicated and understanding. His staff is lovely, I love Shelly, she is a very resourceful hygienist and she brought my confidence back in dental care. Dr. McCracken has been my chosen Dentist for all my dental needs for many years. I would choose no other!. All staff at Laser Smile Studio are friendly, kind and compassionate in all they do. Never have I had an unfavorable experience at Laser Smile Studio! Dr Mc Cracken is the best dentist in Denton. I would highly recommend him. Professional staff and professional dental care. Laser Smile Studio offers laser, homeopathic, and sedation dentistry services. These services set us apart from other dental facilities in North Texas because we have the ability to provide innovative solutions to dental issues which may require invasive treatments from a more traditional dental facility. Click here to find out out more about our lasers and state-of-the-art technology. Laser Smile Studio in Denton, TX is proud to offer an advanced approach to dental care. We prioritize the comfort of our patients before and during their procedures and aim to provide them with the confidence to smile boldly when leaving our facility. We invite you to visit the features and offerings of our practice below and contact us if you have any questions at all. We look forward to helping you achieve that gorgeous smile! Read from a collection of testimonies we have provided to help you feel confident about our services. Learn more about the Laser Smile Studio facility in Denton, TX and our state-of-the-art dental technology. View our list of surgical and nonsurgical dental services which will help to improve your oral health and cosmetic appeal. Take a look at our collection of before and after photos from patients who received outstanding dental care.